InstaShop – Shoppable Instagram galleries on Shopify, WooCommerce, GoDaddy GoCentral and any Online WebShop! InstaShop for Shopify, WooCommerce and more! InstaShop delivers a new way to sell to your customers. Bring Instagram to your Shopify, WooCommerce, GoDaddy GoCentral or Any Web Shop. Pins link customers to products in your store. InstaShop keeps customers in your store, and focused on purchasing product. Give your customers a new way to shop your store. InstaShop allows you to create stunning galleries of Instagram pictures with ease. Gallery: Perfect for a full page ‘Shop Instagram’ page. Collage: Perfect way to display a variety of pictures. Slider: Perfect when you want to integrate your Instagram feed on a page. InstaShop now builds galleries for individual products. 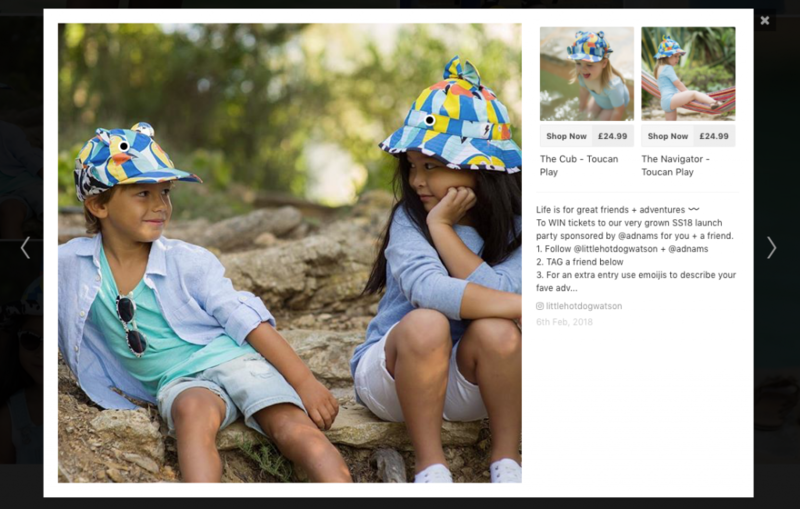 Show Customer generated pictures of your products, right on your product page. All this is automatic. You don't have to do a thing! Find out more. We've been using this app now for several months and it is still as brilliant as when I initially started using it. It has noticeably improved my sales conversion. Previously customers where spotting something on Instagram and then struggling to find the product on my website. Now they can shop the look on my website it's so much simpler. Great App. Excellent layout and extremely easy to use. Setting up takes 5 mins and updating the content is really easy and fast as well. Loads instagram pics from multiple accounts and lets you tag your products, and clients can click and shop very easily. Excellent customer service. Really satisfied with this app. Great value for money as well, their pricing is very reasonable. It's easy to install and manage. And their support is more then fantastic! Do you have a Shopify store?